*Name derived from the Rhytidae family of land snails. *About 6'8 in height, clothes almost never vary. Regeneration:	Namekians can regenerate wounds and even lost limbs at the cost of some energy. However, they cannot regenerate brain tissue or from decapitation, and more likely than not a powerful attack will still kill you. A Namekian can regenerate their bodies to restore themselves to health, limbs bursting forward from an amputated stub or gaping wounds suddenly healing. Mechanically operates as a Senzu Bean without the KP renewal. Once per fight. Elasticity:	Namekians have a flexible body and can stretch limbs far beyond other sentient species, allowing them to develop unconventional and long-range melee fighting techniques. Clan Heredity: Depending on your clan, Namekians have access to various special abilities not available to other species. Warrior Clan members naturally gain the ability to transform into the Great Namek and, additionally, gains a +x1 multiplier to their forms, while a Dragon Clansman naturally gain a mystical skill, such as Dende's Healing. Those of the Mazoku Clan start off with a 25% Minion, free of charge. Being of the Warrior Caste, Rhytid gains natural access to the Great Namek form, as well as a +x1 multiplier to all of his forms. Fusion/Fission: Namekians can choose to either permanently fuse with another Namekian player to gain power, or fission into two Namekians to produce an offspring. Fusion works as follows: 50% of the PL of the fuser goes into the recipient body, along with all of their techniques. In fission, a new Namekian is created from the old, taking along with it half of the PL and a duplicate of all techniques. Namek, a planet famous for their relatively peaceful inhabitants, lush green fields, and ancient relics. Yet, there is only one thing that outsiders truly care about when it comes to Namek: Their sacred Dragonballs. A relic their people seek to protect with their lives, as it means the world to them. These Dragonballs hold immense power, their ability to grant wishes is understandably very appealing to some folk. Both good, and bad. Yet, these outsiders seek their treasured Dragon Balls, something that doesn't belong to them. They only care about Namek for their own selfish gain. How long until the Namekians had enough of the abuse their planet endured because of greedy, selfish outsiders? The Warrior Caste is supposed to spawn warriors that are able to protect Namek against invaders. They are the bulwarks of Namek, the peacekeepers! Yet, as history has proven time and time again, their warriors are too weak to make the difference. Namek had been crying out in pain because of the abuse it endured. Many times had the planet been destroyed as a result of outsiders wanting to abuse the power of the Dragon Balls. How long until the Warrior Caste would realize their weakness, and work to better themselves? One Namekian in particular has recently begun to notice the weakness in their people. 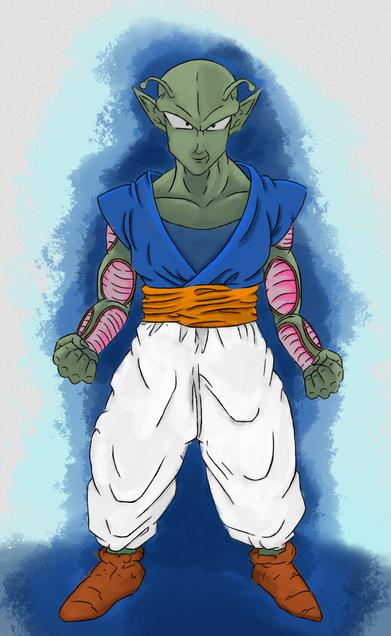 Rhytid, a young Namekian who hailed from the Warrior Caste, has witnessed many battles on their planet. Battles for the sake of the Dragon Balls, and for the sake of Namek. They were powerless. His clan, as well as himself. He had spent most of his life practicing the art of combat, in hopes of being able to defend their planet from invaders. Rhytid, however, has seen little progress in his training. Sure, he could hold his own...Yet he was but a mere insect compared to the people who dominated their people. This never stopped him, however, and he still desperately trains to better himself physically, as he fears the safety of Namek. Rhytid pondered simply abandoning his planet after the events of Re-aligner Red, fearing he would die again, yet couldn't. He couldn't bring himself to abandon his precious homeland after the horrors it had been through. Namek needed a protector, someone who truly sought to bring peace to Namek, and wasn't afraid to lash out at any unwanted invaders. While wishing a stronger member of his people would step up to take this title, Rhytid continued to train, willing to take up this position himself if others were too weak-minded. With the uprising of Xylo, and the Mazoku as a whole, things looked up for Rhytid...Briefly. Yet, Xylo proved too violent. Too vile and tyrannical in his ways of seeking to better Namek. The Namekians were a peaceful folk, never the aggressors in conflict, and Rhytid holds these ideals close to his heart. Xylo wanted to turn their people into an expansionist Empire, not afraid to conquer territory for their own gain. Xylo wasn't any better than their enemies were. Rhytid resents the Mazoku Dominion for this very reason. In his eyes, they were Namekians no longer, and anwser to none but themselves. They had grown just as greedy and selfish as their enemies had. Xylo, along with his army of Mazoku, had abandoned the Namekian ideals in their hatred. Rhytid no longer saw them as brothers...He could only see them as a disgrace...They had failed as Namekians. Namek didn't need a tyrant, it needed a stalwart protector. Someone who believed in peace, and didn't actively seek out war. The Warrior Caste member had heard stories of a Dragon Clansman who had made himself known...Their very own Guru, Helix Crust! The brother of Xylo, ironically enough, fit Rhytid's description of what Namek truly needed perfectly. After learning about the Guru through various sources and fellow Namekians, Rhytid set out to seek the Guru himself, in hopes of aligning himself with the Guru and his cause. The Porungian Sentinels...A fitting name, really. Whilst seeking out the Guru to join the Porungian Sentinels as a proud member of the Warrior Caste, Rhytid works his body to the bone. His grueling training was bound to pay off someday, and fear for his people was a great motivator in his training. The Warrior Caste could truly use a powerful, fearless leader. One who stands against both the Mazoku, and the outsiders who only care about their Dragon Balls. Some day, Rhytid hopes to become this Namekian. [N1]Destruction Wave: After charging up his energy, Rhytid extends a hand and unleashes a wide, short-range destructive blast! Charges at 33% a turn, costs 1 KP. (6K Slot)+[UP2]Super Destruction Wave: A powered-up version of Rhytid's signature 'Destruction Wave'! The Namekian charges up a hefty amount of energy in his body, and transfers it to the palm of his hand. Rhytid then thrusts his palm forward, unleashing a wide, short-ranged destructive blast! This technique costs 2 KP, and charges at 66% a turn. (12K Slot)++[MP3]Ultra Destruction Wave: The max-powered version of Rhytid's signature 'Destruction Wave'! The Namekian charges up all of the energy in his body, and transfers it to the palm of his hand. Rhytid then thrusts his palm forward, unleashing a wide, short-ranged destructive blast! This technique costs 3 KP, and charges at 100% a turn. (60K Slot)[N1]Destructive Rain: Rhytid channels Ki into his hands, and unleashes an orb of translucent green energy into the sky. Then, Rhytid brings down his arms, unleashing a stream of destructive energy from the orb itself! This technique charges at 33% a turn, and costs 1 KP. (66K Slot)+[UP2]Super Destruction Rain: Rhytid channels a hefty amount of Ki into his hands, and unleashes a large translucent green orb into the sky. Then, Rhytid brings down his arms, unleashing multiple streams of destructive energy that split toward multiple targets! This technique charges at 66% a turn, and costs 2 KP. (72K Slot)++[MP3]Ultra Destruction Rain: Rhytid channels an intense amount of Ki into his hands, and unleashes a massive translucent green orb into the sky. Then, Rhytid brings down his arms, unleashing multiple gigantic beams of destructive energy that split toward multiple targets! This technique charges at 100% a turn, and costs 3 KP. (18K Slot)[N1]Verdant Shield: Rhytid began teaching himself to manipulate his energy more defensively, as a protector is nothing without a proper shield! After some training, Rhytid learned how to construct an energy-based barrier around himself, which has a lush, green colour to it! This technique costs 1 KP, and charges at 33% a turn. (24K Slot)+[UP2]Verdant Bulwark: After perfecting his regular Verdant Shield, Rhytid decided to kick the training up a notch, and further his technique! He taught himself how to manipulate even more energy into the barrier, making it a lot stronger as a result, yet also a lot more taxing. This technique costs 2 KP, and charges at 66% a turn. (30K Slot)++[MP3]Verdant Aegis: The perfected version of Rhytid's defensive technique. It takes Rhytid all of his current energy to construct this barrier, yet only the strongest of techniques are able to pierce it. Finally, an adequate shield for this sworn protector! This technique costs 3 KP, and charges at 100% a turn. (54K Slot)+[SU2]Afterimage: Through a sudden burst of speed, Rhytid is able to evade any attack at 200% of his Power Level, and leaves behind an afterimage that is capable of basic movements to distract his opponents with! This technique costs 2 KP. [UT]Flight: A simple trick, Rhytid's control of his own energy gives him the ability to levitate and fly! (36K Slot)[UT]Energy Sensing: Ever since he was exposed to Samba's monstrous strength, Rhytid has begun 'feeling' more and more energy around him. Realizing this, he began training in the art of sensing energy. After some training, and a LOT of meditation, Rhytid had finally mastered it! He can now sense the energy of any non-android fighter, provided they're not suppressed. This is a passive technique, and doesn't cost any KP. (42K Slot)[UT1]Energy Suppression: Through better mastery of his own Ki, Rhytid has learned to suppress his own power to make it more difficult for people with Energy Sensing or Scouters to sense his presence. Rhytid cannot suppress himself while tossing out big techniques. This is a passive technique, and doesn't cost any KP. (48K Slot)+[UT2]Energy Setting: Through even further mastery of his own Ki, Rhytid has learned to not only hide himself at lower power levels, but also be able to fight at those lower levels! Utilizing this, Rhytid is able to fight without any restrictions at lower levels, making this a very effective tool to train weaker fighters! This is a passive technique, and doesn't cost any KP. [UT1]Multiform: Learnt through studying ancient Warrior Caste scrolls, Rhytid has learned to duplicate himself! By splicing his Ki into a different body, he is able to create a perfect copy of himself, distributing his power level evenly between his real self and the clone. This technique doesn't cost any KP. [SPC]Special Beam Cannon: The Special Beam Cannon, otherwise known as the Makankosappo, is the most powerful technique the Warrior Caste has to offer. Only valued students of the Caste, or the leaders themselves, are allowed to learn this technique. Rhytid calls upon his inner energy, and touches his forehead with his index and middle finger. After charging up his Ki for long enough, he extends his fingers, and unleashes a mighty spiralling beam that pierces through any defense! This technique costs 3 KP, and charges at 125% a turn, with a maximum of 250%. *This character is owned by Majin Kaza and I'd like to skip the BP because of this! Thanks! Meet the lean, green fighting machine! The Hero of the Cosmos: CAPTAIN NOVA! Feb 16, 2018 23:55:45 GMT * Zucceta: worldofdragonball.freeforums.net Fighting begins anew. Roleplaying now open. Feb 7, 2018 22:13:58 GMT * Zucceta: worldofdragonball.freeforums.net Fighting begins anew. Apps now open. As she made to kiss him, all passion and promise, she would whisper between kissess, "My Makyo Star..."
Feb 7, 2018 7:27:03 GMT Nicolas Mclendon: wodsouls.freeforums.net/thread/13574/starlight-rendezvous-future-awaits-zerori?page=1&scrollTo=104354 "Zerori...Would you marry me?" "As long as there is breath in my body, as long as my heart is beating, i'm never gonna give up!" Feb 6, 2018 9:59:34 GMT * Nicolas Mclendon: wodsouls.freeforums.net/thread/13574/starlight-rendezvous-future-awaits-zerori?page=1&scrollTo=104341 "Even if it is just another night in the city...I can almost feel something magical about it. Everything...Well, everything just kinda feels right"
Feb 6, 2018 7:51:44 GMT Zerori: wodsouls.freeforums.net/thread/13574/starlight-rendezvous-future-awaits-zerori?page=1&scrollTo=104340 <br> “Got out of the station early. Something about… not much work? What am I gonna do, if there ain’t crime, Nova?" Feb 2, 2018 22:40:27 GMT Barry Quick: wodsouls.freeforums.net/thread/13595/turbo-release-final-stretch-day A look back into some cool Souls stuff. Feb 2, 2018 5:35:00 GMT Tomoka: I'm gonna be unable to post this weekend. Hopefully I don't get DQ'ed. Jan 31, 2018 8:45:06 GMT Bing Gan: The Finals have Begun! Mini-Profile tabs and custom field codes by Trinity Blair.